Who are the Westchester Knicks? Affectionately nicknamed the ‘Dub Knicks,’ the team plays all 24 regular-season home games at the Westchester County Center in White Plains, only ten minutes from the Knicks Practice Facility in Greenburgh. The regular season runs November through March, with playoffs culminating in April. The Westchester Knicks were founded on March 10, 2014, and they tipped off their inaugural season that November. In doing so, they became the 18th franchise of the NBA’s Developmental League (now NBA Gatorade League), as well as Westchester County’s first-ever professional sports franchise. A name-the-team contest saw them adopt the Knickerbocker moniker of their NBA affiliate, as well as the classic orange, blue, and white color scheme that has become synonymous with New York basketball. In November 2016, Westchester revealed its newest teammate, a mascot named Hudson. Donning #914, Westchester County’s area code, Hudson enhances the game experience through fan interactions, swift dance moves, and his ability to drain backwards half-court shots. During games, fans can expect a fun, family-friendly environment, highlighted by entertainment squads, and off-the-court fun. They can also expect to see some of basketball’s rising stars in high-level competition, looking to make an impact at the next level – the NBA. 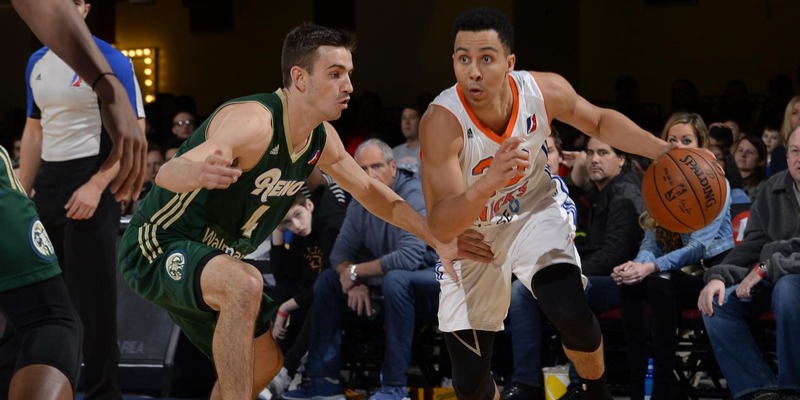 In the NBA G League, fans will see first and second round draft picks, in addition to veterans either attempting a comeback or working through a medical rehab program. 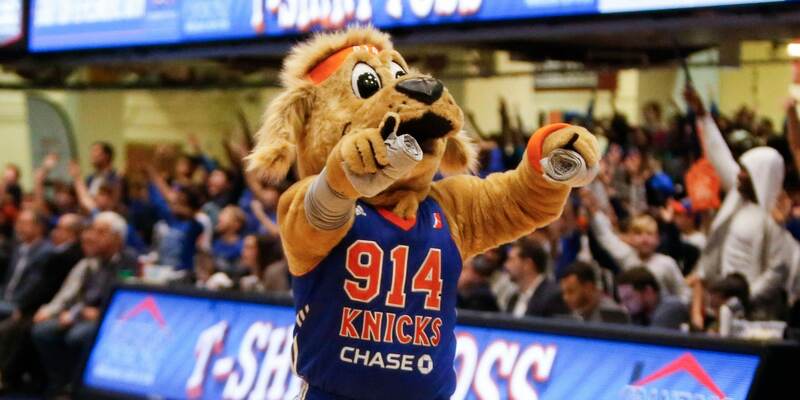 The Westchester Knicks deliver exciting, fast-paced basketball at an affordable price!